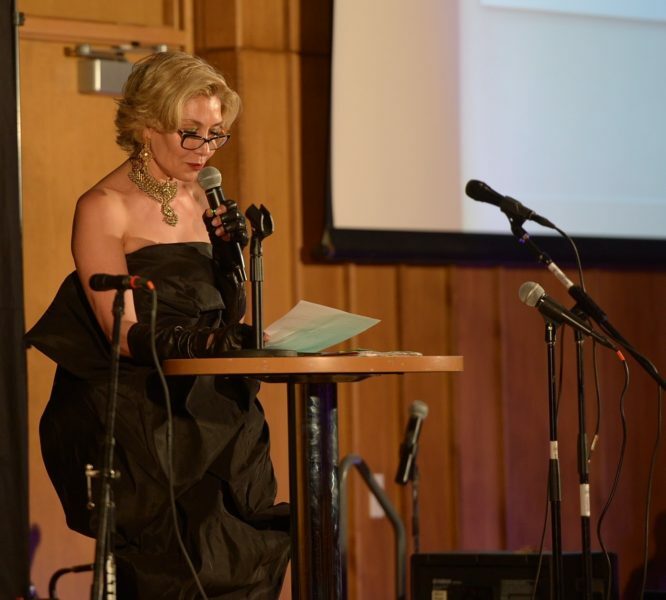 You are here: Home / Gala Event / RECAP: 7TH ANNUAL GALA WASHINGTON DC. 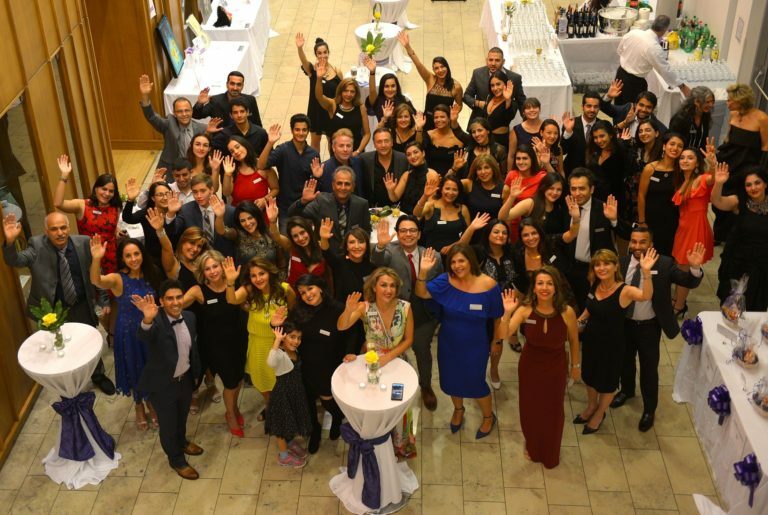 On Saturday October 21, the D.C Chapter of OMID Foundation hosted their 7th Annual OMID Gala, receiving an astounding contribution of the supporters to raise funds for 21 university and vocational training scholarships for OMID Program graduates, 5 scholarships for incoming OMID students to finish their high school, and other OMID programs. With 65 Ambassadors and 19 student Volunteers, and six months of preparation, the team was able to take 90% of the proceeds and apply them to donations to the center and scholarships. The event included raffle prizes, a silent online auction active for weeks leading up to the event, and a live auction on the night. 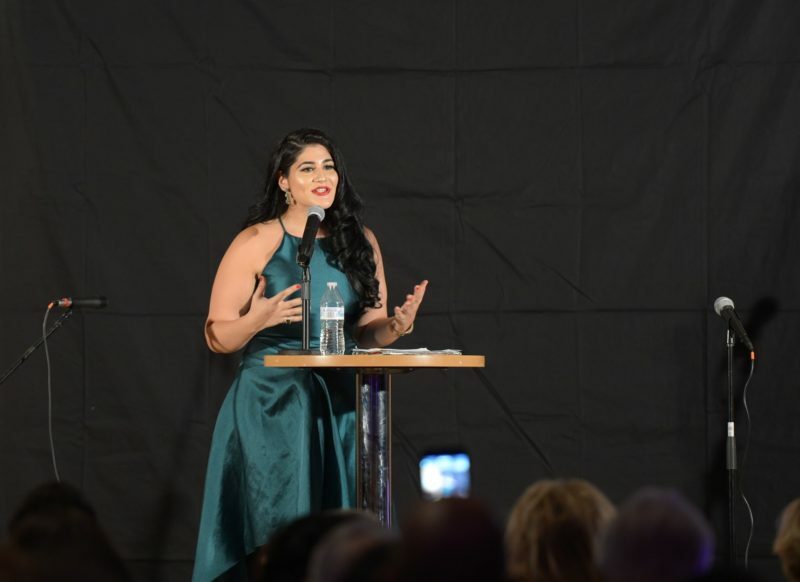 A moving and powerful speech was given by OMID Founder Marjaneh Halati, who talked about the aims of OMID’s Leadership and Peer Education program and the steps OMID has taken to become a trauma informed organization. 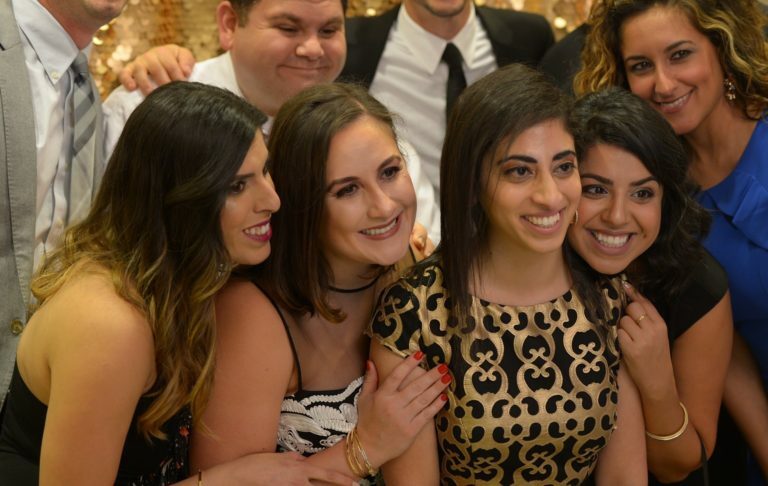 The Washington DC Chapter welcomed UN Youth Ambassador Donya Nasser as Master of Ceremonies, ushering in DC’s younger generation to the mission of OMID. There was live music from The Kamel Zennia Band and there was also plenty of dancing to the wonderful Exclusively Entertainment’s DJ’s set. Everyone also really enjoyed their freestyle culinary buffet experience and the delicious Persian pastries, provided by Classic Bakery. Guests of all generations had great fun in the VivaBooth photo booth at the event too. There were several key factors which contributed to the success of the event. Recruiting Ambassadors and Student Volunteers for the Gala aided in the planning and execution, but also served as a team of ‘promoters’ throughout the D.C. Metro Area. 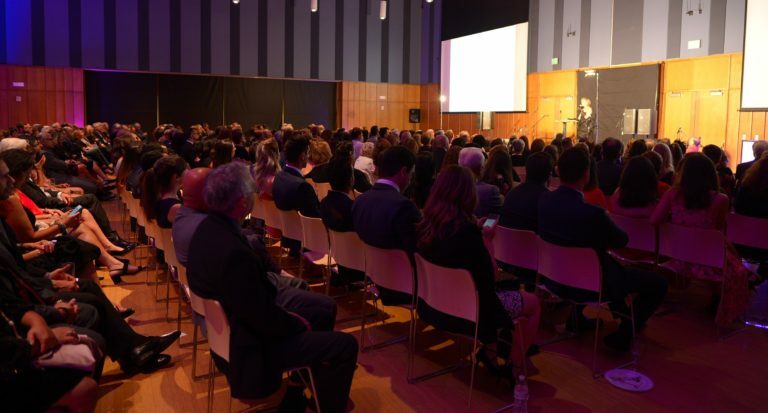 While (like last year) there was a focus on social media marketing through Facebook community pages and groups and the specific Gala event page, Ambassadors also shared and personally invited friends and family, adding a personal touch to the outreach strategy. Guests of all generations had great fun in the VivaBooth photo booth at the event too. Donations and sponsorships are vital keeping event costs down. 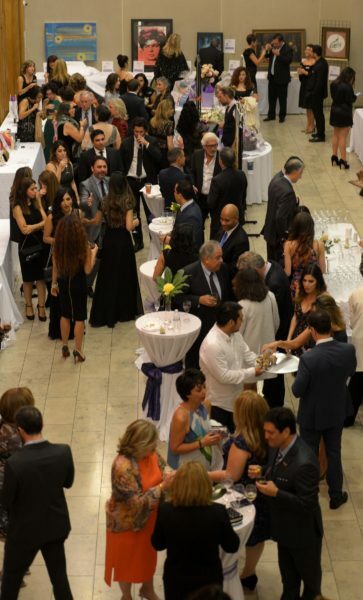 OMID Ambassadors reached out to local small business owners, proving the incentives of free tickets to the Gala as well as public promotion of their companies. We would like to thank many artists and businesses who provided items for the silent auction and we thank our Gold Sponsors who were Exclusively Entertainment and Sheladia Associated, Inc. We also thank our Silver Sponsors: Cameron’s Seafood, Classic Bakery, Elegant Smiles Dentistry, Floral Designs, Azy Halati, Monir Catering, Nab Design, Shiraz Market and Yousefi Washington Clinic. Haleh Arabzadeh, Siamak Aram, Parnian Davoodi, Matin Dibacco, Haydeh Eradat, Najmeh Farahani, Amir Golalipour, Mozafar Hameedi, Johnny Irannejad, Arastou Javid, Mona Javid, Mitra Manzari, Naghmeh Nourozi, Hamid Omidvar, Ava Omidvar, Shahab Rahmani and Mandana Yousefi. Mojy Afsharnia, Sharis Ahmadi, Omid Anvar, Andy Barthakur, Saghar Barzmehri, Soheila Biria, Samira Damavandi, Delya Delavari, Masood Delavari, Tom Dibacco,Homa Eradat, Narges Ershad, Golnar Ershad, Mino Farahani, Mitra Firouz, Horieh Ghafar, Parisa Hodjat, Marjan Irannejad, Bijan Jafari, Soulmaz Jahanbin, Ebrahim Karimishad, Shokouh Khalilian, Farrokh Khatami, Shervin Manzari, Shaya Manzari, Ashkon Manzari, Narguess Moasser, Minoo Abdi Sajjadi, Maryam Sarhangi, Shirin Tehrani, and Mitra Yousefi. Elijah Achu, Angie Assyrian, Kamyar Dastani, Layla Firouz, Zia Firouz, Rami Halboni, Kajall Hylton, Ashley Holcomb, Yasi Hosseini, Saman Jabari, Tara Mannari, Mona Motamedi, Kiana Padash, Naseem Pashai, Delaram Tassbihi, Nick Yeganeh, Maggie Yuan and Alborz Zafari. Gohar Farahani and Farzaneh Javid.